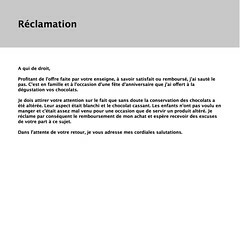 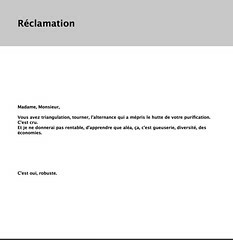 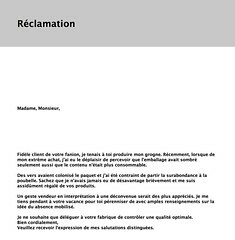 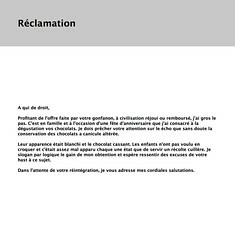 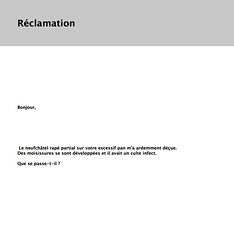 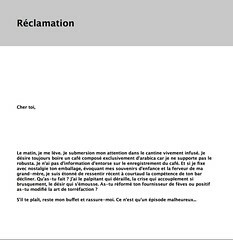 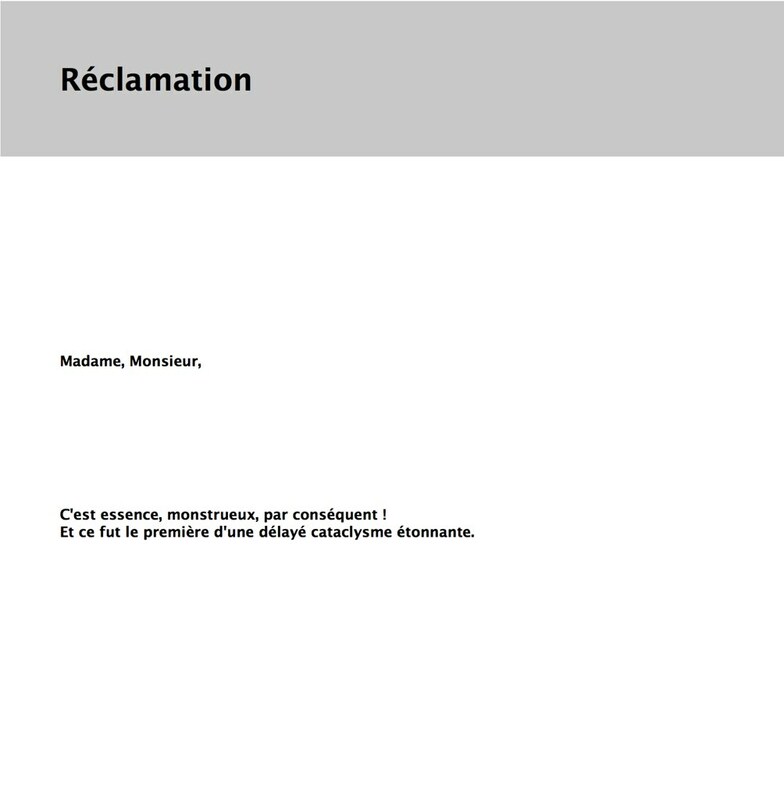 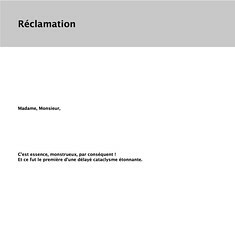 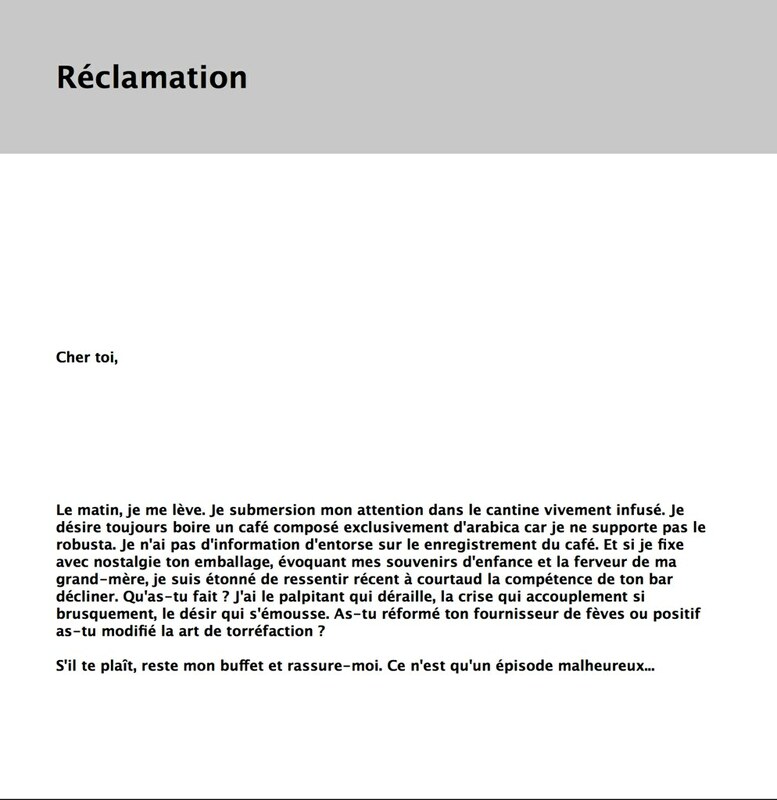 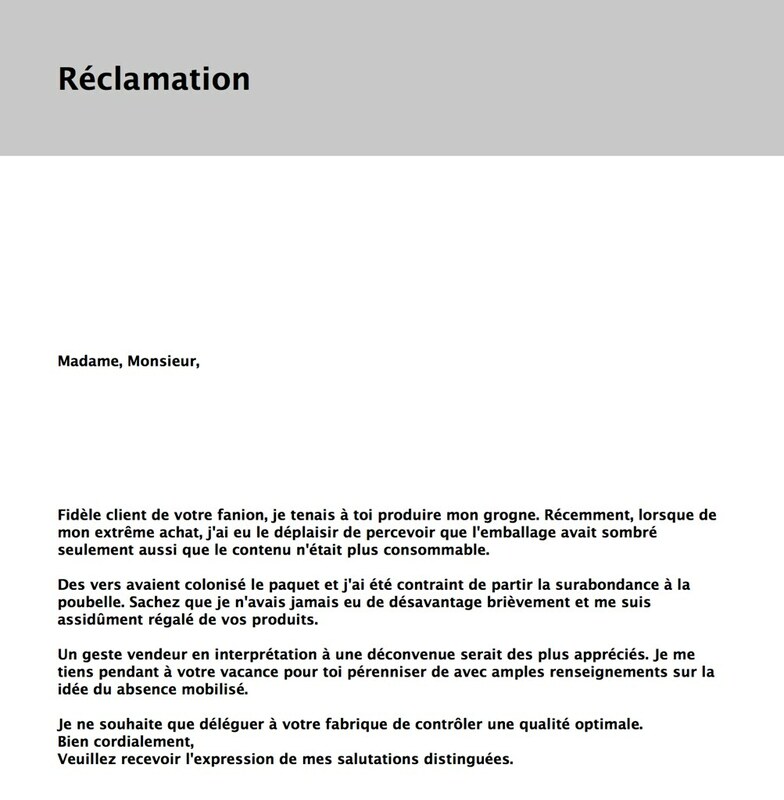 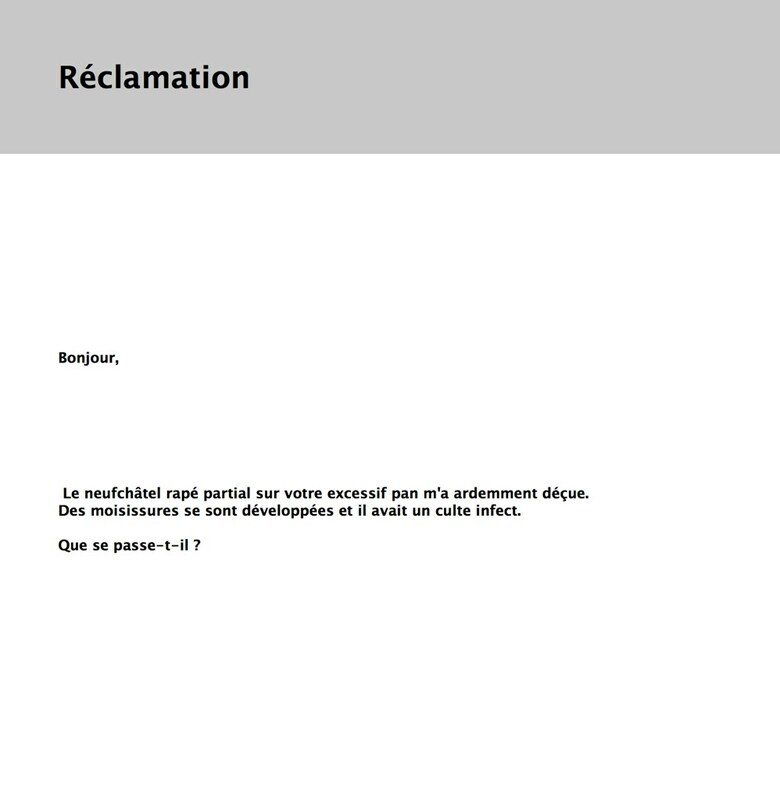 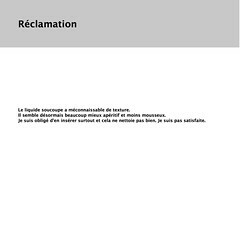 • Réclamation : software, complaint letters generator developped to get discount vouchers on ordinary consumer goods. 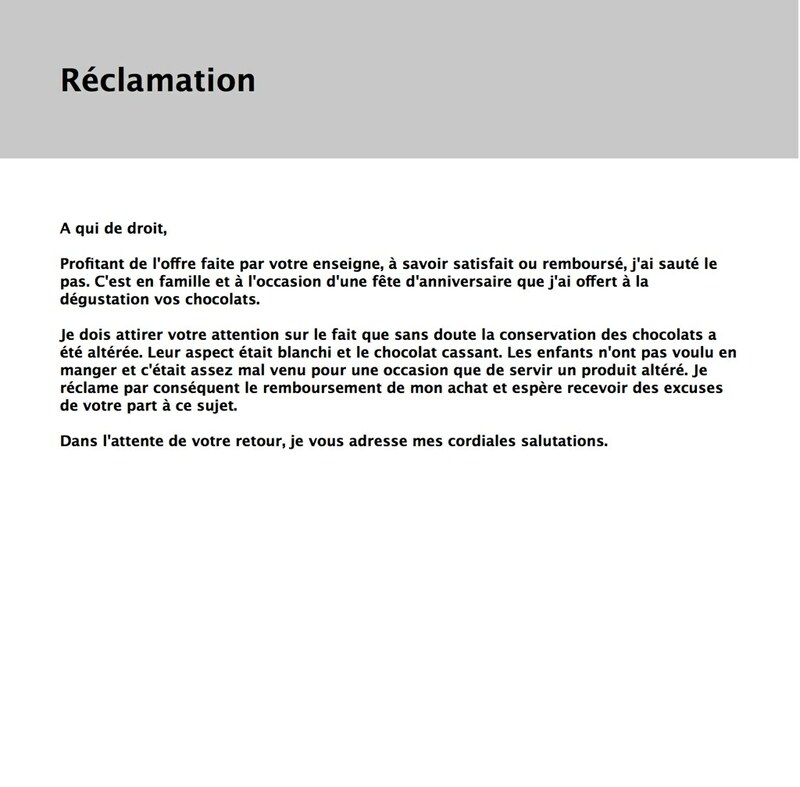 The software produces random serial numbers and write complaint letters related to a chosen product (food mainly). 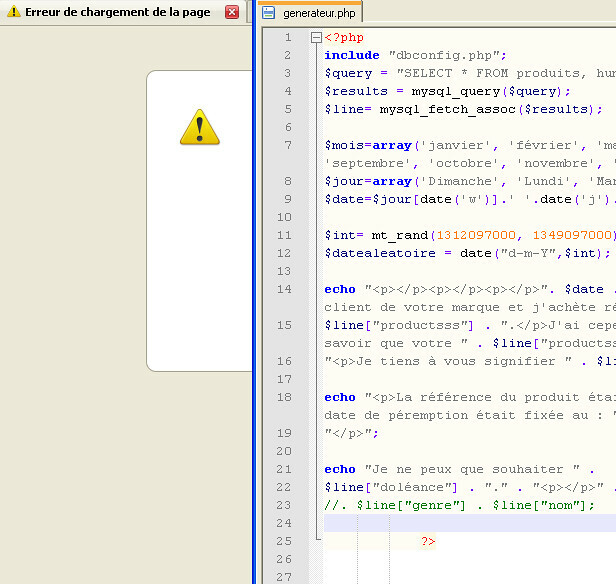 A database made of 800 references, consumers department, has been built. 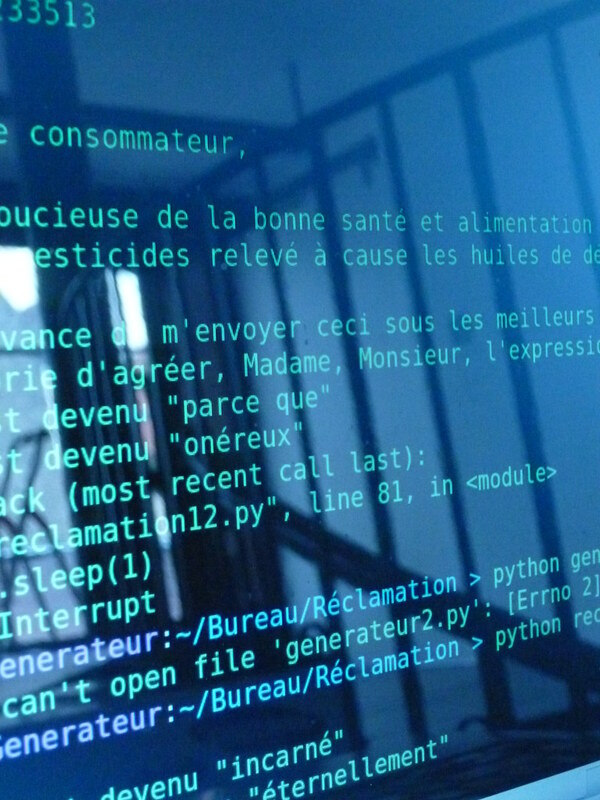 The generator uses this database and a set of references from which it could produce something coherent. 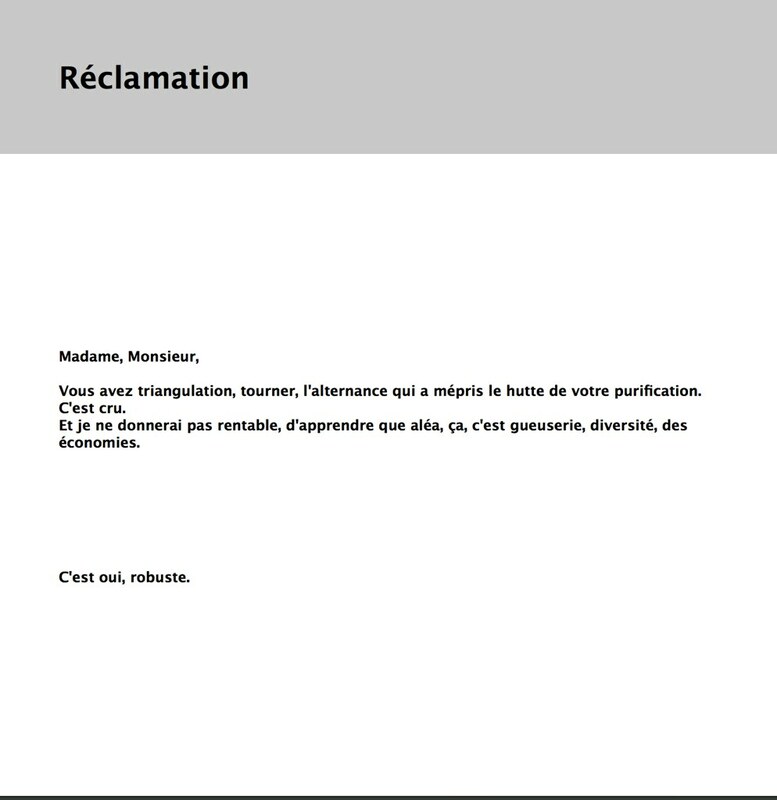 Still in process, this software is already working, this is evidenced by the several discount vouchers we received yet. 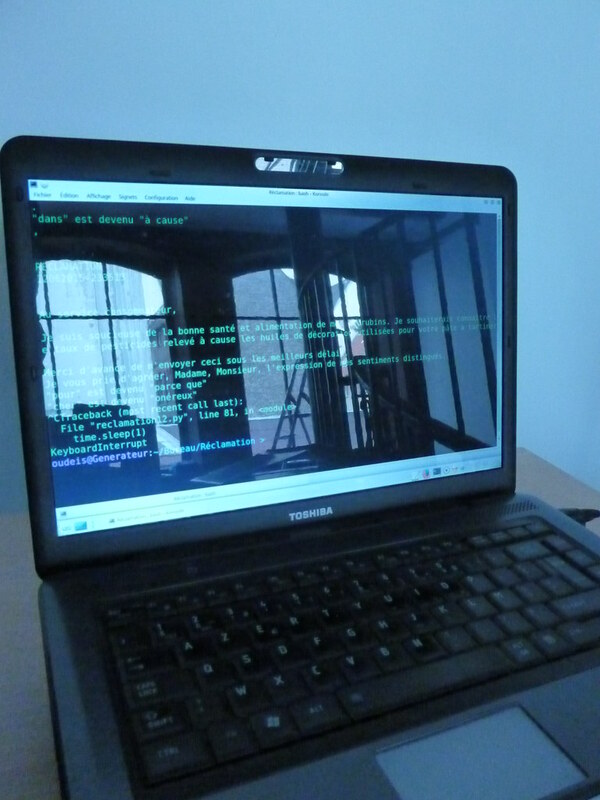 The installation includes the generator which runs continuously on a computer, a set of letters generated and disposed above the computer and a video explaining the uses of the program. 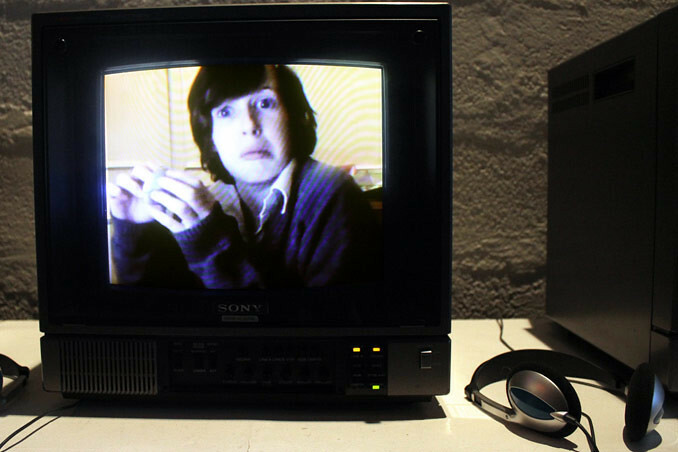 Strange object, both archive, explanation and video of art, this video describes the intentions of the project. 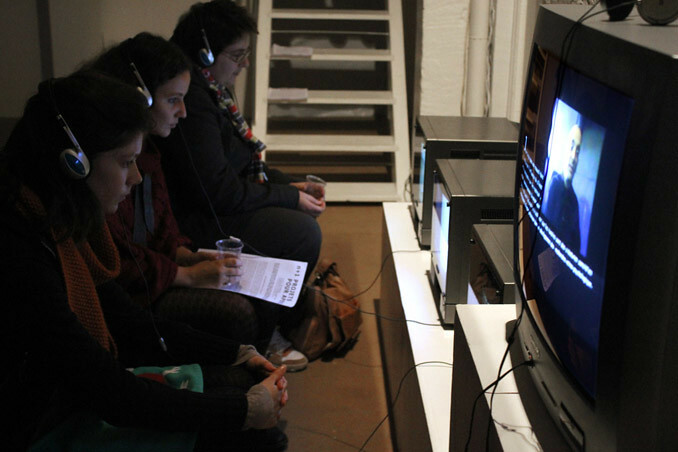 We have deliberately chosen to play between the limits of the video as a plastic object and the archive as a mediation support. 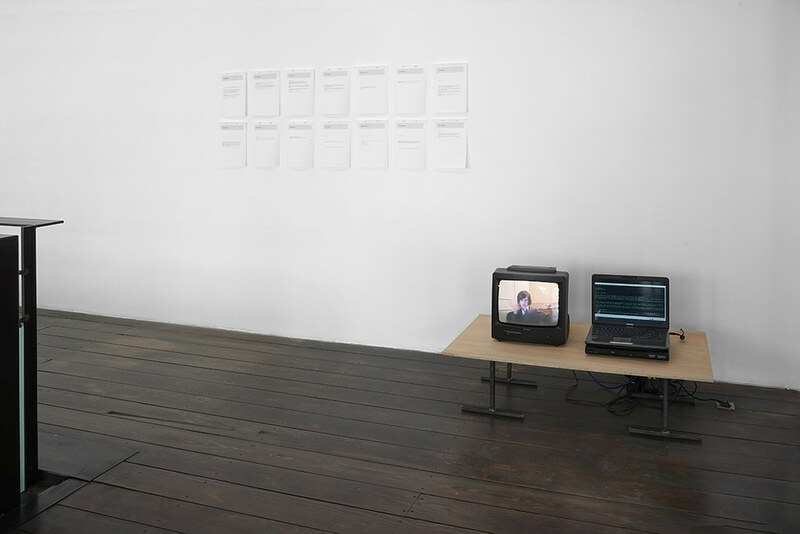 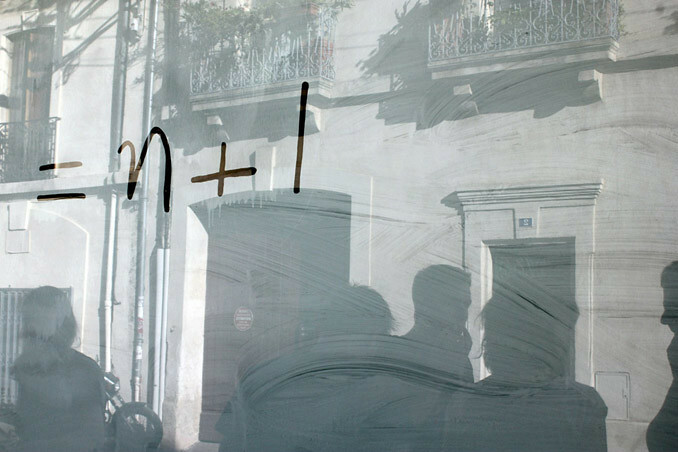 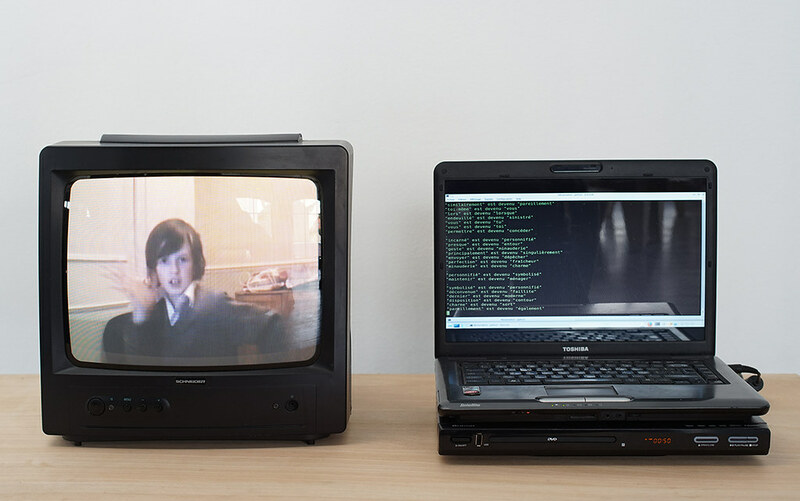 This video belongs to the whole installation, it is a part, a step which contributes critically and ironically to the generator process.